2001-2005. The war between console and PC reaches its height, Valve excels itself, World War 2 becomes the setting of choice and Bungie gives birth to a big, helmeted baby. The fourth part of Kristan’s epic retrospective. 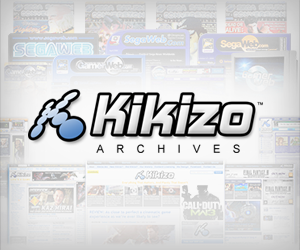 2001 was a real turning point in the evolution of the FPS, with major developers starting to devote serious attention to consoles for the first time. While most publishers and developers were content to commission console ports of successful PC titles, others bucked the trend by debuting titles on the new wave of living room hardware. Volition’s Red Faction hit PS2 to sizeable critical and commercial success in May of 2001, fully four months ahead of the PC version – a release pattern PC gamers would have to get used to. 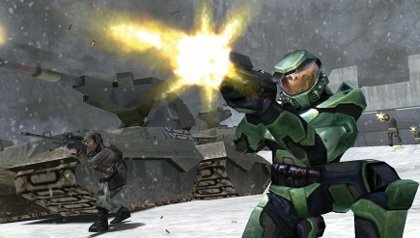 Microsoft went even further than THQ when it bought Bungie Studios and made Halo: Combat Evolved exclusive to Xbox, prompting massive outcry among desktop shooter enthusiasts. 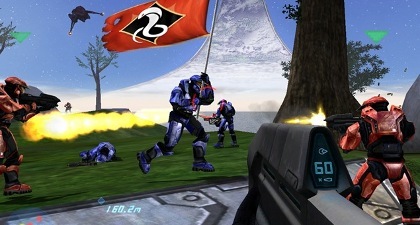 The system’s killer app at launch in November 2001, Halo introduced an entire generation of gamers to the genre, as well as tempting over a significant proportion of the console’s detractors – chiefly PC gamers still cherishing the belief that the joypad was an unworkable substitute for keyboard and mouse. 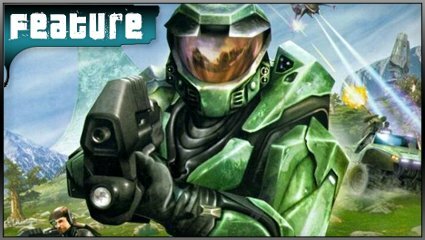 Halo’s influence on the genre cannot be overstated, largely thanks to its groundbreaking AI and dynamic combat system. It genuinely felt less scripted and predictable than competing titles, with breathtaking visuals, compelling narrative hooks and hugely addictive split screen multiplayer in the bargain, and scooped top marks across the board. Combat Evolved, indeed. The early days of Halo multiplayer. Despite all the attention elsewhere, the PC was still very much the proving ground for most titles in the genre, with high profile titles such as Clive Barker’s Undying, Tribes 2, Alien Vs Predator 2, Command & Conquer: Renegade, Medal of Honor: Allied Assault and Unreal Tournament 2003 remaining exclusive to the PC. The latter, in particular, demonstrated that the PC was also still very much the proving ground for new tech, with Epic Games’ delightful Unreal Engine 2 the first major next gen engine of the decade by late 2002, boasting superior texturing alongside new ragdoll techniques. Posted in Features, FPS Gamer, and tagged with feature, first-person shooter, fps, history, kristan reed.